I’ve read a lot of books this year, but very few of them I would consider “literature.” Forest Dark is the rare exception. The flowery language and high-concept imagery invoked in this book would certainly make it a prime candidate for some art-house film. 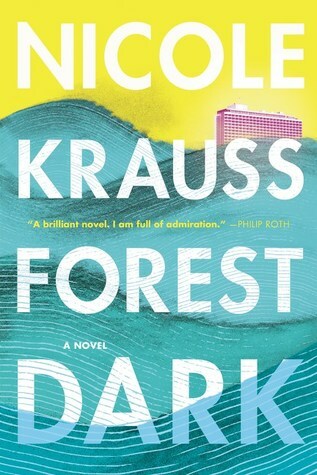 Author Nicole Krauss doesn’t just tell a story (or two) in this book; she crafts them out of the very essence of the human condition with expertly chosen words. There’s little to no “fluff” in this book, which somewhat explains it somewhat shorter length, especially considering it’s two stories in one. While I am not Jewish, the two, intertwining narratives in Forest Dark pull out the cultural identity from two very different characters. From an aging man who wants to make a legacy without relying too much on his heritage to a woman who has been given an opportunity to use her skills as a writer to further expound the life of one of the greats of Jewish literature, both characters interact with Israel in a way that ties them both together, even if they don’t actually meet until the end (or at least, that’s what I assume happened). Regarding pacing and distribution of these two stories throughout the book, there was never a point where I felt the plot was beleaguered. Each section advanced the plot of the two individual characters in such a way as to explore not only their motivations but how their cultural heritage either tied them down or influenced them to continue. While this whole book was well written, because it is a little more on the “artistic” side, there were many scenes, especially near the end, that didn’t seem to make sense other than as a neat “image” for the reader. At the very least, I know more about Kafka now than I did before reading this book. A great piece of Jewish-themed modern literature, I give Forest Dark 4.0 stars out of 5.